Hewlett Packard - D6106A HP/COMPAQ - 9.1GB 7200RPM 80PIN ULTRA-2 SCSI 3.5inch HOT PLUGGABLE HARD DRIVE WITH TRAY (D6106A). IN STOCK. SAME DAY SHIPPING. Hewlett Packard - 176496-B22 HP/COMPAQ - 36.4GB 10000RPM 80PIN WIDE ULTRA-3 SCSI 3.5inch FORM FACTOR 1.0inch HEIGHT HOT PLUGGABLE HARD DRIVE WITH TRAY (176496-B22). IN STOCK. SAME DAY SHIPPING. Compaq - 9.1gb pluggable SCSI hard drive wide ultra2 Universal drive (1in) P/N: 123065-B22 OR 104665-001 123065-B21. Seagate - ST19101WC SEAGATE - CHEETAH 9.1GB 10000 RPM 80 PIN WIDE ULTRA SCSI HOT PLUGGABLE HARD DISK DREIVE. 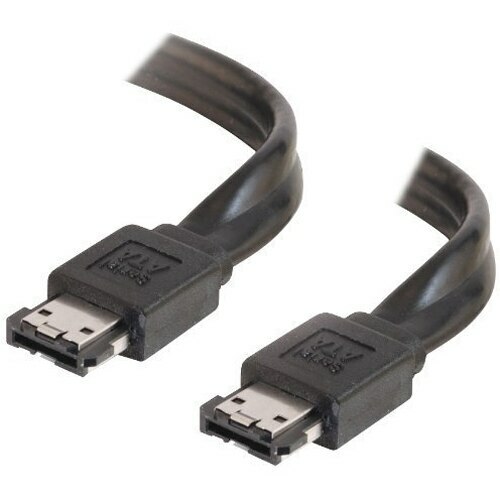 3.5 INCH HALF HEIGHT(1.6 INCH). ST19101WC. IN STOCK. SAME DAY SHIPPING. Quantum - KN36J011 QUANTUM - 36.4GB 7200RPM 80PIN ULTRA-160 SCSI 3.5INCH HALF HEIGHT (1.6INCH) HOT-PLUGGABLE HARD DRIVE (KN36J011). IN STOCK. SHIP SAME DAY. Quantum - TN36J462 QUANTUM - 36.4GB 10000RPM 80PIN HOT PLUGGABLE ULTRA WIDE SCSI HARD DISK DRIVE (TN36J462). IN STOCK. SHIP SAME DAY. Quantum - KN36J462 QUANTUM - 36.4GB 7200RPM 80PIN ULTRA-160 SCSI 3.5INCH HALF HEIGHT (1.6INCH) HOT-PLUGGABLE HARD DRIVE (KN36J462). IN STOCK. SHIP SAME DAY. Hewlett Packard - BD03685A24 HP/COMPAQ - 36.4GB 10000RPM ULTRA - 320 SCSI (1.0inch) LOW PROFILE HOT PLUGGABLE 3.5inch HARD DISK DRIVE WITH TRAY (BD03685A24). IN STOCK. SAME DAY SHIPPING. Hewlett Packard - D7175A HP/COMPAQ - 18.2GB 10000RPM 80PIN ULTRA-2 SCSI 3.5inch HOT PLUGGABLE HARD DRIVE WITH TRAY (D7175A). IN STOCK. SAME DAY SHIPPING. Hewlett Packard - 300955-014 HP/COMPAQ - 36.4GB 10000RPM 80PIN ULTRA-320 SCSI 3.5inch FORM FACTOR 1.0inch HEIGHT HOT PLUGGABLE HARD DRIVE WITH TRAY (300955-014). IN STOCK. SAME DAY SHIPPING. Compaq - 306645-002 HP/COMPAQ - 36.4GB 15000 RPM ULTRA - 320 SCSI (1.0inch) HOT PLUGGABLE 3.5inch HARD DISK DRIVE WITH TRAY (306645-002). IN STOCK. SAME DAY SHIPPING. IBM - 08K0382 IBM - 36.7GB 10000RPM 8MB BUFFER 80PIN ULTRA320 SCSI HOT PLUGGABLE HARD DISK DRIVE (08K0382). IN STOCK. SHIP SAME DAY. Compaq - 386536-001 HP/COMPAQ - 9.1GB 10000RPM 80PIN ULTRA-2 SCSI 3.5inch HOT PLUGGABLE HARD DRIVE WITH TRAY (386536-001). IN STOCK. SAME DAY SHIPPING. Compaq - 313764-001 HP/COMPAQ - 18.2GB 7200RPM 80PIN WIDE ULTRA SCSI-3 3.5inch FORM FACTOR 1.6inch HEIGHT HOT PLUGGABLE HARD DRIVE WITH TRAY (313764-001). IN STOCK. SAME DAY SHIPPING. Compaq - 233806-003 HP/COMPAQ - 36.4GB 10000RPM 80PIN ULTRA-160 SCSI 3.5inch FORM FACTOR 1.0inch HEIGHT HOT PLUGGABLE HARD DRIVE WITH TRAY (233806-003). IN STOCK. SAME DAY SHIPPING. 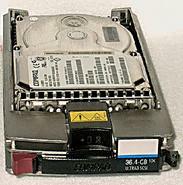 IBM - 06P5369 IBM - 18.2GB 10000RPM 80PIN ULTRA-160 SCSI 3.5inch HOT PLUGGABLE HARD DRIVE WITH TRAY (06P5369). IN STOCK. SHIPS SAME DAY. IBM - 24P3763 IBM - 18.2GB 10000 RPM 80 PIN ULTRA - 160 SCSI HOT PLUGGABLE 3.5inch HARD DISK DRIVE WITH TRAY (24P3763). IN STOCK. SHIPPING SAME DAY. Seagate - ST39102LC SEAGATE - 9.1GB 10000 RPM ULTRA2 SCSI 80 PIN HOT PLUGGABLE HARD DISK DRIVE. 1MB BUFFER 3.5inch LOW PROFILE(1.0 INCH). ST39102LC IN STOCK. SAME DAY SHIPPING. Hewlett Packard - 188014-002 HP/COMPAQ - 18.2GB 15000RPM 80PIN ULTRA-160 SCSI 3.5inch HOT PLUGGABLE HARD DRIVE WITH TRAY (188014-002). IN STOCK. SAME DAY SHIPPING. Hewlett Packard - 177986-001 HP/COMPAQ - 36.4GB 10000RPM 80PIN ULTRA-160 SCSI 3.5inch FORM FACTOR 1.0inch HEIGHT HOT PLUGGABLE HARD DRIVE WITH TRAY (177986-001). IN STOCK. SAME DAY SHIPPING. Hewlett Packard - 271837-003 HP/COMPAQ - 36.4GB 10000RPM 80PIN ULTRA-320 SCSI 3.5inch FORM FACTOR 1.0inch HEIGHT HOT PLUGGABLE HARD DISK DRIVE WITH TRAY (271837-003). IN STOCK. SAME DAY SHIPPING. Hewlett Packard - BF03685A35 HP/COMPAQ - 36.4GB 15000 RPM ULTRA - 320 SCSI (1.0inch) HOT PLUGGABLE 3.5inch HARD DISK DRIVE WITH TRAY(BF03685A35). IN STOCK. SAME DAY SHIPPING.